Dr. 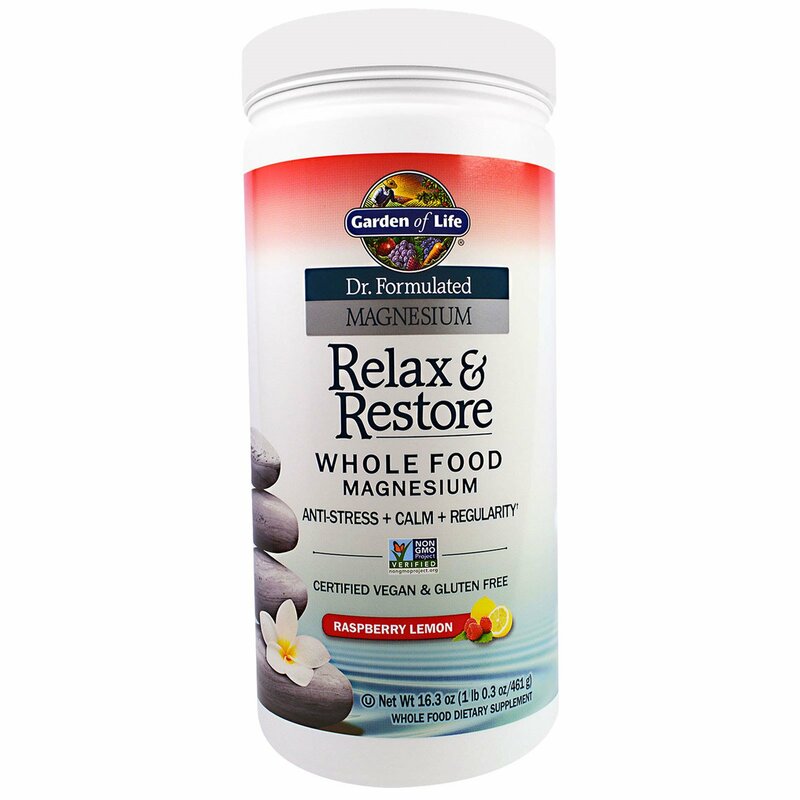 Formulated Relax & Restore Whole Food Magnesium powder is a delicious, fizzy drink that will help calm and relax you, leading to a good night's sleep, while restoring your body's optimal magnesium levels. Relax and Restore features the first-ever organic pea protein magnesium chelate made with our finest U.S.A. grown organic peas, as well as live probiotics, to support healthy digestion and occasional constipation. Ionic magnesium fizz blend (Non-GMO citric acid, magnesium carbonate and sodium bicarbonate), organic pea protein magnesium chelate, organic raspberry flavor, organic stevia extract (leaf), lactobacillus plantarum, lactobacillus bulgaricus, lactobacillus acidophilus. Caution: As with any dietary supplement, consult your healthcare practitioner before using this product, especially if you are pregnant, nursing, anticipate surgery, take medication on a regular basis or are otherwise under medical supervision. Use with children under supervision after consultation with your child's healthcare professional. 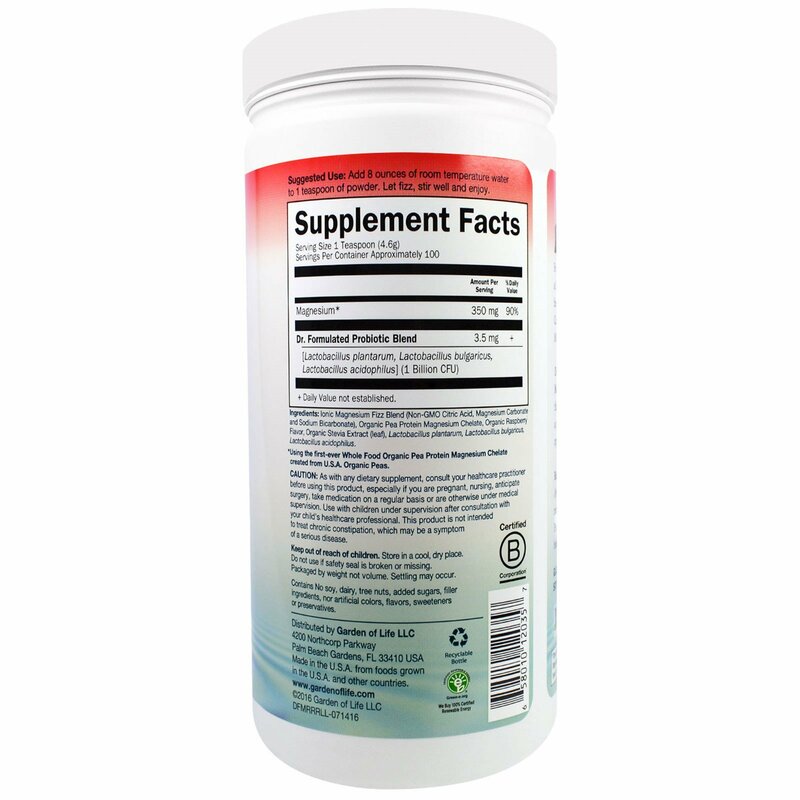 This product is not intended to treat chronic constipation, which may be a symptom of a serious disease. Keep out of the reach of children. Store in a cool, dry place. Do not use if safety seal is broken or missing. Packaged by weight not volume. Settling may occur. *Using the first-ever whole food organic pea protein magnesium chelate created from U.S.A. Organic Peas.